So I promised a few of you guys for more Perth photos. Yes… so where did I stay? Of course it’ll be a hotel. For those that missed it, don’t worry here’s the link. 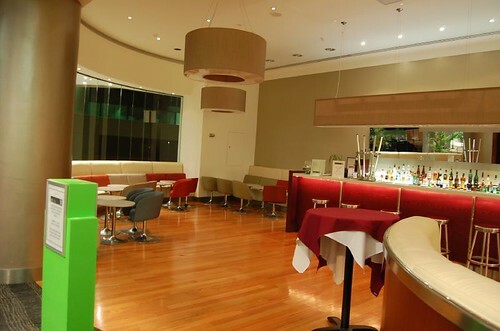 Mercure Hotel, Irwin Street, nice set of wines at the bar. Though didn’t get to like have some wine there. The first day, after touchdown… the following day went straight for a swanbell lake tour. Yes, though it wasn’t this boat. It was another Captain. Captain Cook! Look at the boat. The captain’s at the upper deck. Yes, you might not see him well from here. 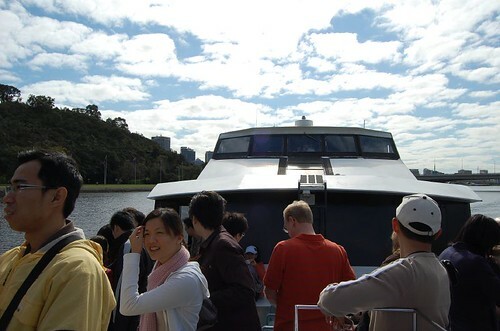 Some can’t resist the outdoors or rather the outer deck of the boat and looking at the sceneries. Well, basically this one will go all the way to Freemantle. 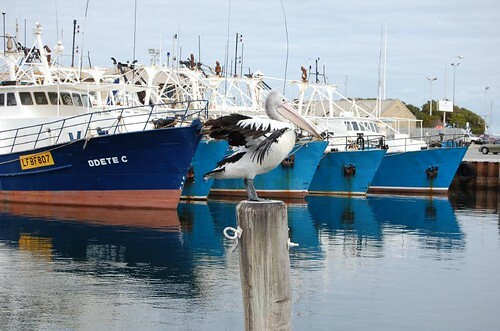 One of the most common birds in Perth is the Pelican. Why can’t I see more of them in Malaysia?? There are also lots of seagulls. Yes… they are plenty. Hmm… must be because of the food here. Oh yeah, never leave your food unattended when eating at the open, they come in big numbers and eat your food in an instant. The famous fish and chips. 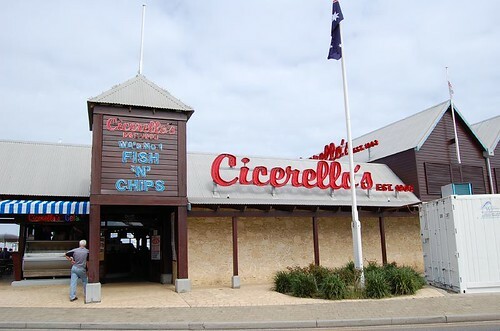 Yes Cicerelli’s. Superb big portion. Something which I missed eating. Why Malaysia got such small helping when I order fish and chips. Now it’s never the same. Been eating fish and chips, and on Sunday, that was the last time I ate in Berjaya Times Square. See the portion, I really felt not full already. 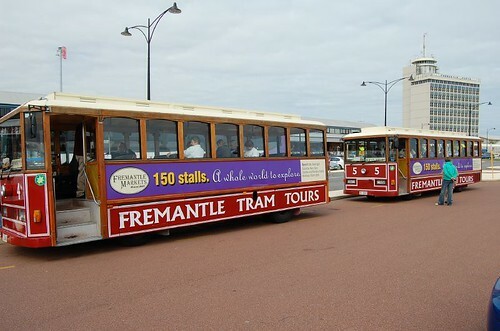 Yes, it’s Freemantle Tram tour. Too bad can’t sit on it. 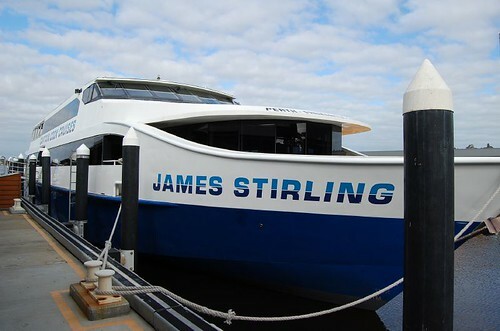 Well we have our very own ride to Freemantle market. So is it ever enough this tour? Hmm.. want to see more of it? No worries, it’ll come with more shots of the native of Australia, the Kangaroo and Koalas and Wombats… too many of them. Please help support me by having a look at the advertlets ads! Thx!!! Sure or not?? Hehe!!! What last pic… ish…. yea, keep posting. nice shots but the shot with you… nothing one. I mean, ‘Daniel was here’ and no scenery looks odd. Shots are meant to be shown… well, no scenery, is sometimes a capture of the century.